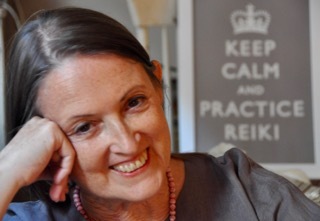 "You are an icon in the Reiki world. " "I am consistently inspired by your passion and clarity. Thank you for what you do. You help me do what I do better." "I am happier at this moment, for having read your blog. What a blessing. I soaked up your words, thoroughly enjoying the sane, humane, well-informed, grounded and responsible voice you have always offered. What a relief." 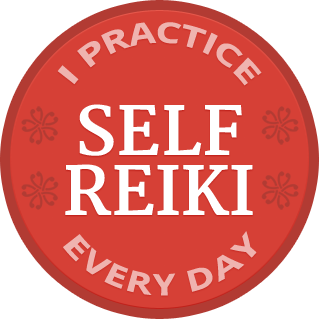 The Self-Reiki Badge is available in 32 different languages! To show the world that you practice daily Reiki self treatment, grab your badge in your language here. Best Reiki Book 2012, Blog 2011, and Facebook Page 2012. Reiki for Skeptics. Say What? What Does the Reiki Kanji Mean? What Is Usui Reiki Ryoho? Usui Reiki, or Not Reiki? Reiki Classes: What’s Right for You? What Is Reiki? What to do? Enter your email and I'll send you credible, relevant information about Reiki, and I'll never share it with anyone else. Never ever.